Spending extra time in the Galapagos Islands after your land tour or cruise is a great way to gain a deeper appreciation of the islands. Knowing when, and how, to transfer between islands on an inter-island ferry in the Galapagos is a bit of a challenge. There is no officially managed public schedule, as it’s not really public transit. The public ferries are run by various private boat owners. Thankfully, the ferry times have not changed for years. They’re pretty much set up so ferry boats can make a morning and afternoon transfer, meaning the ferry boat captain and his crew are back to their “home” islands and families each evening. We have the following ferry schedule available for you to save in your bookmarks or copy onto your phone. In most cases there is no need to book a ferry in advance. The day before is usually ok, unless you are visiting during any popular holidays. Simply look around for signs that say “Tickets” or “Venta” with pictures of fast boats and names of the islands. Ferries in the Galapagos are actually just basic speedboats, powered with two or three 150-200hp (or more!) engines. The image at the top of this post is a typical boat you’ll find in the Galapagos Islands. Boats used for day tours and for inter-island ferry transfers all look quite similar to this. Some are larger, but not by much, with the capacity in the 25-32 passenger range for most of them. You can expect your ferry boat to almost always be fully booked by the time it departs. There are no large ferry boats or catamaran type ferries you may have traveled on in other countries. Each ferry crossing normally takes between 2-3 hours. In rough seas it can take up to 4 hours, in perfectly calm seas you might make it in less than 2 hours. The public ferries cost between $25-35US per passenger, per ride. It’s best to check with a couple of ticket sellers in town before buying your tickets. Chances are they are selling tickets at the same price, but you may be able to save $5/ride by booking a specific boat from a specific seller. Keep in mind – A ferry at a cheaper price may mean it has less horsepower, so is a slower boat. It could also mean they don’t give you a juice and cookie snack. Or it could mean they simply have a few extra seats they need to sell that day. Sometimes paying the extra $5-10 is worth getting the best boat and service! Public ferries only run between Santa Cruz (Puerto Ayora) and Isabela (Puerto Villamil) or between Santa Cruz (Puerto Ayora) and San Cristobal (Puerto Baquerizo Moreno). There are no public ferries between San Cristobal (Puerto Baquerizo Moreno) and Isabela (Puerto Villamil). There are no regularly scheduled public ferries to Floreana Island. This means if you want to visit Floreana Island overnight you need to take an organized tour such as our 10-day Galapagos Adventure. Or if you want to go from Isabela Island to San Cristobal Island in 1 day, you need to transfer via Santa Cruz, taking two different ferry boats, and it will take you an entire day. On Santa Cruz Island, the public ferry boats depart from the main pier area in downtown Puerto Ayora. If you know where the supermarket and Hernan’s are, then cross the road to the waterfront and you will be in the right place. The ticket booths near the supermarket area are also the best place to buy your tickets in Puerto Ayora. Arrive at least 30 minutes before ferry departure for baggage inspection. The boarding process in Puerto Ayora can be a bit chaotic on busy days with multiple boats departing at the same time, but don’t panic – they announce each boat by name, so as long as you know what boat you are on (it will be on your ticket), you’ll be fine. On San Cristobal Island, the public ferry boats used to depart from the boat pier near Casa Blanca Hotel in Puerto Baquerizo Moreno. But a new pier was built in 2017, and which is not in the middle of town, across from the Police Station. Another change to the ferries on San Cristobal is that they no longer board directly from the pier, you have to use a water taxi now, just like Isabela and Santa Cruz (cost is $0.50/person). Again, be sure you arrive about 20-30 minutes before departure to clear through the bag inspection process. Walking along the main street in Puerto Baquerizo Moreno, you’ll see plenty of ferry ticket board signs outside shops that can sell you tickets. On Isabela Island, the public ferry boats depart from the dock located outside of town. You’ll need to take a 15-20 walk there or hop in a taxi from town. The taxi should cost $1 per person, but for the early morning ferry they may charge $2 per person. Again, allow extra time to get there for the SICGAL inspection of your bags. 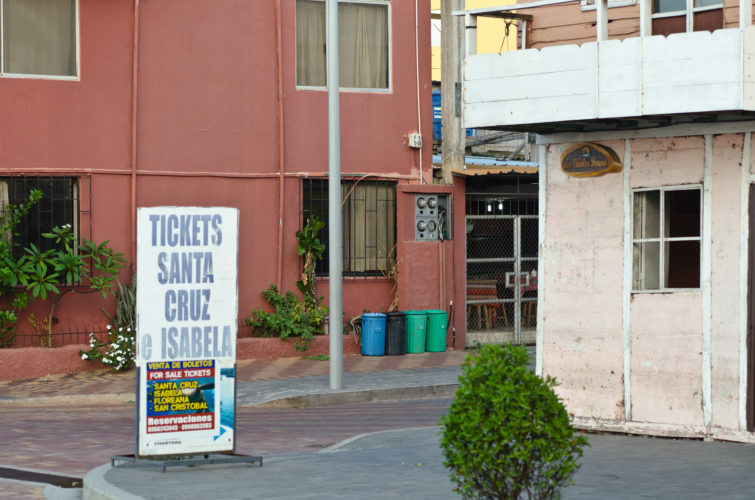 Ticket sellers in Puerto Villamil can be found close to the main square in town. No matter where you are boarding the ferry, if you have a large suitcase, it will be stowed away, out of reach. So keep any needed items on your body, or with a daypack. Good ferry operators will provide you with a snack and some water or juice on the ferry crossing to/from San Cristobal, but it is not guaranteed. Usually there is no snacks or drinks on ferries to/from Isabela. Be sure to arrive at the ferry docks at least 30 minutes before departure for bag inspection and to get checked-in. Last-minute arrivals are at risk of missing their ferry boat. Generally there are multiple ferry boats leaving all at the same time, and the ticket you buy will grant you space on a specific boat. *Note: Some ferry schedules you’ll find have only one departure per day, and some ticket sellers only sell tickets to 1 inbound and 1 outbound ride per day. The departures marked with an asterisk may not be available at all ticket seller locations. Think of it this way – if a family owns 1 boat and only goes back/forth between 1 island each day, they may not be interested in selling other routes or boats if they won’t make much money from it. Here are a few tips to make your ferry ride a little more enjoyable in the Galapagos Islands. 1 – If you’re prone to seasickness, let the crew know so they will give you a seat at the back of the boat, where you’ll get some fresh air. 3 – Consider bringing your own snack if a simple biscuit and juice box won’t be enough. 4 – Unless it is an emergency, don’t plan to be able to use the toilet on the ride. It will be way too bumpy! 5 – Extra costs – the ferries at Isabela, San Cristobal and Santa Cruz Island now all require a water taxi transfer to reach your boat. You’re expected to pay cash to the water taxi drivers. The water taxi cost should be $0.50 per person at Santa Cruz and San Cristobal. The cost will be $1 per person at Isabela. If traveling to / from Baltra, the bus from the airport to the channel is no longer free. Upgrading the service has resulted in a $5 charge for this ride, the price of which may or may not be included in flights or by your tour company now, so be prepared. Well, this section does not make sense. Can anybody tell me about ferry between Santa Cruz and San Cristobal? We’ve updated the post above. The times were right, we just had the wrong island name in there. I have an 11:30am flight from the San Cristobal airport (to Quito, so it’s domestic). If I take the 7am ferry leaving Santa Cruz and arriving in San Cristobal’s port around 9:30am/10am, is that enough time to get to the airport? Or should I play it safe and go the night before and stay overnight in San Cristobal? Thanks! Hi There! If our planes lands at one pm on San Cristobal, do we have any hope at all of catching the 2pm ferry to Santa Cruz? The airport on San Cristobal is only a 5 minute drive into town and the ferry dock. So, assuming everything goes smoothly this should be possible. But it can take as long as an hour to get through Galapagos Immigration and get your checked bag, especially if another plane lands shortly before yours. They only have 1 or 2 staff checking passports and taking park fee payments, so it can go slow! Were you lucky to make your connection? Thanks for the intel. We are doing the 8 day Galapagos cruise but plan to spend a little more time on the islands afterwards. The cruise ends and leaves us in Baltra. Do you know if taxis are common to get to Puerto Ayora from Baltra on Santa Cruz Island? Yes it is easy to get from Baltra to Puerto Ayora. Baltra is only the airport island, no taxis or cars there. You must use a bus shuttle. The bus brings you to the channel between Baltra and Santa Cruz Islands. Then you take a quick ferry transfer across (very close, only a few minutes). On the other side, on Santa Cruz Island there are always taxis and shuttles waiting for business. Make sure you have some cash for the ferry and taxi. Can You tell me, on which time the ferry leave Baltra to Santa Cruz? It is a 3-5 minute ride across the channel from Baltra to Santa Cruz. Very short ride. The “ferry” here is just a barge. They go back and forth as soon as the barge is full. It may take 10 minutes, it may take 20 minutes total, but usually not longer than that. Do the ferries from Baltra (the Channel) to Santa Cruz run on a schedule or do I just take the bus to the dock an find a boat? Also, I need to know about the return trip. Is there a scheduled run from Santa Cruz to Baltra? Thanks. It is such a short boat ride there…plan for 15 minutes or so from the time you reach the channel on one side until you get to the channel on the other side. 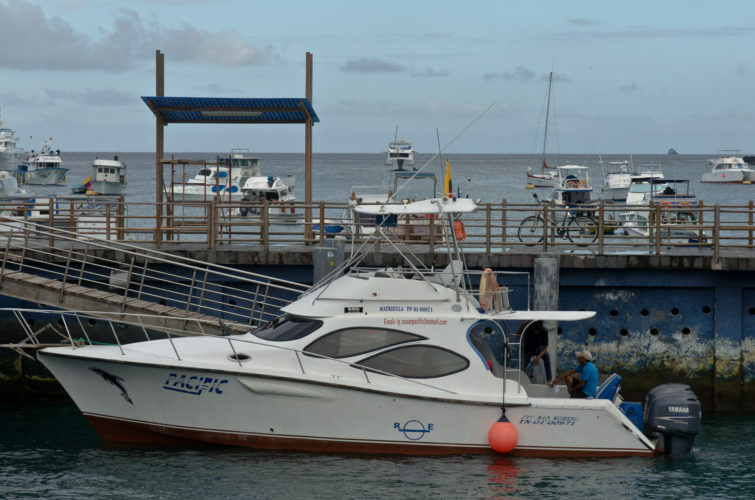 The busses on Baltra run in conjunction with flight times and there are always taxis available in Puerto Ayora or at the Santa Cruz side for going between the channel and town. There are flat rates for taxi services on Santa Cruz, it should be around $25 for the ride from the channel into town and vice versa. I want to get a morning ferry from Isabela to Santa Cruz on the day my afternoon flight leaves Baltra. Do you know if ferries are likely to be cancelled if the weather’s bad? It is very, very rare for ferries to be cancelled. Bad storms are not common in the Galapagos. Safe travels! ROBYN, HOW WAS THE FERRY TO SANTA CRUZ FOR YOUR FLIGHT? DID YOU HAVE ANY PROBLEMS? IT WAS A CRAZY DAY? Yes, the ferries run at the same time on Sundays. Sunday ferries can sometimes be extra busy as locals and their families may be returning to their “home” island after spending the weekend on a different island. If your cruise starts / goes to Puerto Ayora on Day 1 it should be no problem. But if you are to meet the boat at Baltra (the Ithabaca Channel actually, between Baltra and Santa Cruz) it will be a long travel day for you and possibly a problem. Your ferry could take 3 hours. Then you need at another 1.5 hours to take a taxi to the channel to meet your boat! Too much time. IT would be best to stay overnight in Puerto Ayora the night before. The problem with starting cruises in Baltra is that the boats don’t start “from town” on Santa Cruz usually…they start at the channel near the airport, which is far away. Much different than San Cristobal where the airport is only a 5 minute drive away. Are there no later departures than 2-3pm? Otherwise this means you need to catch that boat to get back to your home island, which only leaves like 3 hours of exploring on another island if you get there in the morning!? You are correct Will, to do such a “day trip” is a waste of time. There is only 1 morning time and 1 afternoon time for the ferries. You would need to stay overnight to make it worthwhile. At Galakiwi, we do sometimes have to do a quick “back and forth” trip in the same day for work reasons, but we would never recommend it for a traveler. These ferries are NOT allowed to operate after dark. Since the sun sets ~ 6pm every day in the Galapagos, they can not safely leave any later. Is there a way to buy ferry tickets online ahead of time? From Isla Isabel to Santa Cruz. The boats that we personally prefer to use do not have any online booking websites. However, there are a couple of general Galapagos sites out there who say they will book your ferry tickets for you. Since we’ve never used them, we can not recommend them! For a ferry ticket from Isabela to Santa Cruz it would be easy to book when you arrive in the islands. Thanks for all the super helpful info!! Just one more ? Can your bags get wet on the ferry crossings between islands it are the always stowed away out of the elements?? Wondering if I should prepare for the bags to get wet??? Thanks again!!!! Your bags get stowed down in the hold of the boat, near the front. It is generally a secure, dry area as long as the crew doesn’t leave any small hatches open! (They lock everything down tight in rough water). The one place where you and your things may likely get wet is if you sit right at the back of the boat, where it won’t be covered over and you’ll be subject to spray from the wake of the boat. Are there any ferries that travel from the Islands to the mainland? No, there are no options for travel by boat from the mainland to the islands. The islands are very far off the coast. The only ships that come from the mainland are supply cargo ships, and they take a number of days to get here. There are no accommodations for travelers on those ships. I want to get a ferry at 7:00 am from Santa Cruz to Isabela on July 9th. How can I confirm ahead of time if I’ll be able to do that for a party of 5? Hope you enjoyed the Galapagos! You probably had no problem booking the ferry tickets the day before? Isabela is definitely worth spending some relaxing time on. Have fun! If you visit San Cristobal, stop by to say hello. Do you have any info on speedboats going between Baltra Airport and Isabela? There are no such speed boats. You will have to go all the way to Puerto Ayora to get a ferry boat. Baltra is the airport island only. No services except the airport and a mandatory bus ride that takes you to the Itabaca Channel. After the short 5-minute ferry ride to Santa Cruz Island, there are taxis, vans, buses and some tourist boats waiting to take people to town or start their cruise. Because the channel is so far away from town, the ferry boats do not go here. The only time it may be possible to go to Isabela from Baltra by ferry is if you pay to charter an entire boat. This would only be realistic if you had a group of 8 or more people. hi. i am flying in to santa cruz in the morning and need to get the afternoon ferry to san cristobel. 9th sept. will i be ok getting a ticket on that same day? i will have to large dive kit bags also. will that be a problem? How did it work out Steve? As long as you were on an early flight to Baltra and were not delayed, you should have made the crossover to town and to the ferry ok.
Having big, bulky bags or dive equipment isn’t usually an issue as long as you can carry it! There is a lot of space on the ferry boats. Locals will often have a bunch of big boxes of house supplies when they take the ferries. To any one. I am going to a wedding on San Cristobal the first of Nov. 2017. I have traveled to Quito many time but am ignorant of the Galapagos experience. I plan on flying from Denver to Quito and then make connections to San Cristobal returning to Quito and back to Denver. Using San Cristobal as my base i am looking for suggestions to make my time on the island enjoyable. Should I spent a week on San Cristobal, what other islands should I go to. What about Ferry rides. Ect. Take a look at our short 6-day Galapagos tour if you are interested. We can provide it without the Galapagos flights, so it would be an affordable option for you. On San Cristobal trips to Espanola Island, Punta Pitt, or into the Highlands are all possible. If you enjoy fishing the Tour 360 trips go all around San Cristobal, visiting some unique places that no cruises are allowed to visit. Thank you so much for the great post! I’m planning the Galapagos trip and will be landing at Santa Cruz 11:54 AM in November. Is there a good chance for me to catch same day 2:00 PM ferry to Isabella from Puerto Ayora? Thanks. That would have been an extremely lucky turnaround for you to get through the airport in time and to Puerto Ayora for the ferry. How did you get to Isabela? Thanks for the usefull information! I will be traveling with a surfboard bag (about 2m long), do you think this will be a problem on the ferry or is there enough space in the hold? Should be no problem, surfers often visit the islands and take the ferries! It’s a frustrating thing for some people not to be able to book their day tours or ferries ahead of time. But most small businesses are on “island time” as people like to say and do not have a web presence, or may only accept cash payments. Let us know if you made it around safely! Great information. Are there any ferries direct from Isabella to San Cristobel? There are no public ferries between Isabela and San Cristobal. Or you can take a morning ferry Isabela -> Santa Cruz, followed by the afternoon ferry Santa Cruz -> San Cristobal. It would be a long day of travel doing that! First of all, Thank you for your help answering all these questions! So I have a question myself. We arrive in San Cristobal end of April from our cruise (departing in Baltra, but arriving in San Cristobal). However, the next day we need to be in Baltra to catch our flight back home. Even tough April is considered low season (right? ), I am a bit scared we won’t be able to make it to the 15:00PM ferry back to Puerto Ayora after we arrive back from our cruise in the morning/noon. I’m scared there won’t be any tickets left because we would purchase the ferry tickets a couple of hours before departure. Like I read in the comments, it’s impossible to buy tickets in advance for a foreigner. Is it possible to buy our return ticket 8 days prior when we arrive in Balta/Santa Cruz? What activities is your cruise doing that last day? Most likely you will arrive into the port at San Cristobal the night before or early in the morning so it is likely no problem at all. If there are people on your cruise flying out of the islands that same day, those flights will leave before your afternoon ferry time, so the boat would have to be dropping people off in time. As for tickets, you should be fine buying them that day, or having the boat staff buy them for you the day before if you are worried. Safe travels! Hey, thanks for the super useful blog. We are visiting the Galapagos islands with our 2 small children (1YO & 3YO) in March 2018. Do they pay the full boat fare of US$30 each way? Thanks! That depends. There are no published “child rates” so generally every person big or small, pays the same rate. You may be able to negotiate a cheaper price for the one year old. But usually by the time they are 2-3 years old, they pay full price as they need a seat (and each ferry has a maximum capacity). If the one year old can sit on your lap, you can try to get a discounted price for them. Good luck! 2)	I will arrive at Galapagos 11.54 and the ferry I leaving at 2pm the same day. Will it be better to take the ferry next day? 1) Not necessary. It may be possible to book online on some sites, but we can not recommend any that we know as we buy all our ferry tickets in-person here. 2) It will probably take you 2+ hours to go through customs, get your bag, and make it to Puerto Ayora for the ferry. Chances of making it there in time would be small. I have a flight out of Baltra at 10am. Is there any way I could leave Isabela that morning and still catch my flight? If the stars aligned and you had all your lucky charms working, it could happen. It would require your ferry boat to be the first one to depart right at 6am and have perfectly calm waters so it could make the crossing in 2 hours or a bit less. 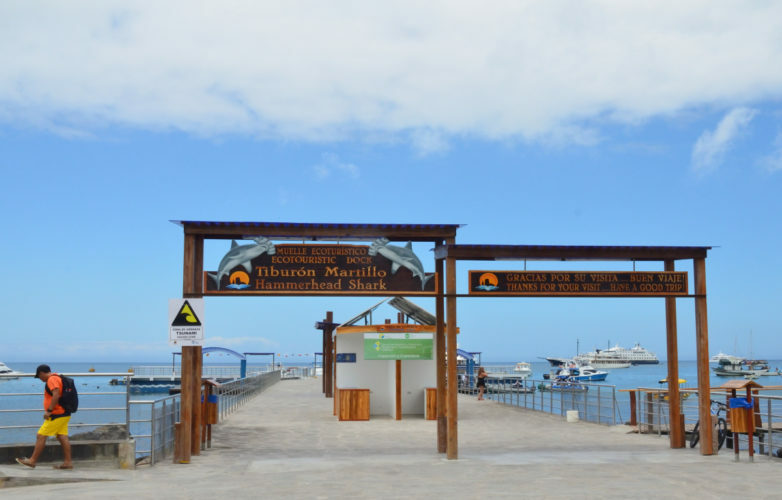 Then you would need an efficient water taxi to get people off your ferry and to the dock in Puerto Ayora…a clear road across the island without any construction or tortoise blockages…a perfectly timed channel “ferry” crossing, etc. I think you get the point. But if you go for it…let us know how close you get! If you’re really stuck, look into flights with Emetebe from Isabela to Baltra. It will save you time and won’t cost too much more money. Hi, is there problem carry big luggage on ferry? We plan stay a couple nights on different island, so have to take full luggage with us. Do they charge extra? That is no problem at all, most people on the ferries have a large suitcase or backpack. Some people will also bring big boxes of food or have 2-3 pieces of luggage. There is no extra charge. Is it possible to catch the Santa Cruz – Isabela ferry the same day without buying tickets ahead of time? We’re arriving on the morning of the 3rd with the Avianca 9:20 AM flight (I’ve already heard about the frequent delays with Avianca) and want to go immediately to Isabela for two nights instead of staying on Santa Cruz overnight. Also, if not, are there water taxis available? That is possible to do Justin, if you plane arrives on time. We have done that in the past. Since many ticket-selling agencies are right near the pier and drop off point for buses / taxis from the airport it is quick and easy to walk over to buy a ticket a couple of hours before the afternoon ferry departs. Water taxis are available 24hrs for shuttling people to / from their boats. Water taxis are very small, with one small engine. Good for short 5-20 minute rides only, they would be unsafe, impractical and illegal for going between islands as it would probably take them 12 hours if they didn’t capsize. Islands are far apart in the Galapagos! Thanks for all of the useful information in the comments. We will be doing a tour on the Majestic, and would like to go to Isabella on the day that the tour ends. I don’t think we will have any opportunity to buy a ferry ticket until we get there. Is that an issue? I see above that you suggest there isn’t anywhere on line to purchase them, but as we know when we want to go, it would be disappointing for it not to happen. We are a bit time challenged, as will have 2 nights on Isabella, then 2 in Puerto Ayora before flying out. Your boat tour company should easily be able to organize this for you. When you arrive and begin your cruise simply tell the guide what your plans are and they will make a call to get your tickets organized. hello, we arrive at 10.05. from a shipcruise with the Darwin on Santa Cruz (but we don’t know exactly the time of arrival with the Darwin at Santa Cruz). Is it possible, we can get the ferry from Santa Cruz to Isabela at 2:00 pm? Because we want to go to Isabela at the same day. Many thanks in advance. This is probably no problem. Usually the cruise boat would be in town or close to town early in the morning. But it is best you check with them. Some boats do not dock in town, instead anchoring out by the Ithabaca Channel, close to the airport. This makes it easier to get to/from the airport. But it would add at least an hour of time for you to get a taxi back to town to catch a ferry. Thanks for reaching out for help from Galakiwi…sounds like you are flying into San Cristobal? Then taking a ferry to Santa Cruz. The airport on San Cristobal is only a 5 minute drive from town. So you should be done paying your park fee and picking up your bag anywhere from 30-60 minutes after you land (it can be a bit of a slow process getting checked bags). That means under normal circumstances you would have plenty of time to get to the pier and hop on a afternoon ferry. Enjoy the Galapagos! Is it ok to get on the 7am Baltra – San Cristobal ferry and get the 11.15am flight from San Cristobal to Quito? Or would you recommend going to San Cristobal the day before? Jacopo, this should be no problem at all. It is unusual for the ferry to take more than 3 hours, and you can get to the San Cristobal airport quickly from the pier. Nope. Not possible Dan. The fastest the ferry may go on a super calm day is about 1.5 hours but 2 is normal and during choppy seas 2.5 hours. You can always fly from Isabela to Baltra to save time. What website mentions a 1 hour ferry? Hello, is that easy to visit the Isla Isabela and Isla San Cristobal without a tour guide? Sure Christine, you can visit some places on both Isabela and San Cristobal without a guide, if you stick to areas in and near the towns. If you want to do the more exciting day tours, or learn more about the Galapagos then guides will either be mandatory or recommended depending on the sites you want to visit. I have a flight out of Baltra Airport at 11:00 AM on April 25. Is there any way I could leave Isabela that morning and still catch my flight? My boat transfer will depart at 06:00 AM. It is possible to make that connection, but it would be a somewhat stressful day…hope you did ok today and got to the airport on time! Greetings….you’ve probably already answered this question based on someone else’s arrival time of noon into Seymour….my flight is supposed to arrive a little earlier, 11:30. From what you have said, making a 2 PM ferry to San Cristobal would be a stretch, correct? Would it make a difference if I took a taxi, instead of a bus, from Santa Cruz directly to the ferry dock in Puerto Ayoro? If you don’t have any delays getting through the airport customs, paying your park fee and grabbing your checked bags it would be possible. The mandatory shuttle bus from the airport to the channel wont “leave early” though. It will wait until it is full. There is no way to speed up that side of the journey. So if you rush and happen to be the first person out of the airport and on to the shuttle bus…you will be waiting for dozens of other people to get on the bus until it is full. Is it possible to get from San Cristobal to Floreana and then from floreana to Isabella? This is possible with private charter boats only, which is how we run many of our tours such as our 10-day Galapagos Adventure tour. There are no public ferries that do this route. Is it possible to leave Isabella on the 6 a.m. ferry and make a 12:30 flight in Baltra? I read above that it is possible to make 11 but would be a very stressful day. Would 12:30 be stressful? This is a great page. Thank you! Taking the 6am ferry from Isabela to Santa Cruz for a 12:30 ore later flight should b no problem at all. Enjoy the Galapagos! We are finishing a cruise in Baltra (in the morning so that the majority of the travellers fly from Baltra) on 24 December. We are wondering if it is going to be realistic to get the 2pm ferry to San Cristobal (given the bus/ barge/ taxi ride required – and maybe even a water taxi too). And whether we can count on the later ferry running ? (Your blog says that sometimes there is a later ferry (at 3pm) …but maybe only if the 2pm one is full). Then this raises another issue – do you think that the ferry will operate on Christmas day ? There is no definite answer for your question. One thing to check is where your cruise goes in the morning on the 24th. If you are already near Puerto Ayora that morning you may be able to get off the ship in town, instead of worrying about the transfer from the Ithabaca Channel. But only your cruise company knows that. Regarding ferries running on Christmas Day – most likely some of them are running. But these are all family run operations, and some families / boat captains will be on vacation or doing their own family Christmas celebrations. We use private boats on our tours when going between islands and at times like Christmas have to pay more $$$ to ensure all tour services go smoothly…so we can not say with 100% certainty that you will easily find a ferry on Christmas Day or Christmas Eve. Do you know if the ferries run their normal schedule between islands on Christmas and Christmas Eve? Some will, but some likely will not. Remember these are not big corporate of government owned ferries, they are small family-owned boats. Chances are that some ferries will not be running, but as long as you have some flexibility on the date and time (morning or afternoon) you should be ok.
Hello from Nicaragua! Thank you for the detailed info! I will be traveling with my husband and our 19 month old daughter at the end of September 2018. I want to pack light for our trip but I also want to err on the side of caution. Do the ferries offer life jackets for toddlers? Any tips besides the ones mentioned above with regards to traveling on the ferries with a toddler? Also, will her ticket be the same price as an adult passenger or is there a child price? Thank you in advance. If your toddler does not need their own seat (can sit in your lap), then you should be fine not having to pay for them on the ferry. You may want to bring along your own toddler flotation device as many ferries have a limited number of children size and may not have any toddler size options. Great question. Some people “feel” that the morning rides can be calmer. But, perhaps it is more a case that the afternoon rides can be very hot in the afternoon sun, which combined with a bouncing boat may make people more prone to seasickness. The potentially cooler morning ferry ride may have an advantage there. There is no “ferry” from Santa Cruz to Baltra. It is a very skinny channel to cross by barge. You could probably throw a rock across the channel, that is how narrow it is. The transfer across is timed to work at the same time as the busses on Baltra Island, usually running about as early as 1.5-2 hours before flights leave. Hi! We are getting a flight from Baltra airport at 12:45. We want to get the ferry from San Cristobal to Puerto Ayora in the morning. Do you think there is enough time? It says the ferry will arrive in Puerto Ayora at around 9:30/10- will this be enough time to get to the airport and get our flight? Under normal conditions, no problem. Just be aware that in rough conditions the ferry crossings can take up to 4 hours. If you are travelling at this time of year, you should be fine. What a fantastic find- thank you GalaKiwi for all your responses. Permit me to ask a question as I didn’t do enough homework before booking tickets and realize we should have flown in San Cristobal and out Baltra but… what we have is in and out of Baltra. We arrive into Baltra the morning of Dec 21 2018 from Guayquil- domestic- and fly out of Baltra at 11am on Dec 28 2018 – heading to Quito, again domestic. My hope now is to arrive into Baltra, go to Santa Cruz on the 21st and book some tours for later in the week and then take the afternoon ferry to San Cristobal (it would be a delight to meet you!) Spend the night of maybe 21st, the 22nd (doing a tour from San Cristobal), and maybe the night of the 23rd (also doing a tour from San Cristobal), in San Cristobal before leaving early on the 24th for Santa Cruz- arriving by 10am and hopefully doing a day tour that day if we aren;t too late. If 10am is too late for tours in Santa Cruz, then we would possibly spend that mid-day again in Santa Cruz and go on to Isabela in the afternoon- for the night of the 24th in Isabela, night of 25th (doing a tour from Isabela), night of 26th (doing a tour from Isabela), and depart the morning of the 27th for Santa Cruz- and again try to catch a tour on Santa Cruz if it worked. And then that night of 27th in Santa Cruz and we;d be there for our flight out on the 28th. However lets assume on the 24th when we go from San Cristobal to Santa Cruz, that oneof the tour companies we book on the 21st says we can meet them once our ferry arrives around 10am for a tour and so we could spend the 24th, 25th, nights in Santa Cruz and do tours those days from there, and then the morning of the 26thm we could head to Isabela and try for tours 26th and 27th there. Would it be possible to leave Isabela at 6am, on the 28th, arrive in Santa Cruz around 9am at the latest hopefully, and make it to Baltra for an 11am domestic (Quito) flight- assuming no checked bags? In other words, can we make it from the ferry in Santa Cruz (from isabela) to the Baltra airport in about an hour? You have done a lot of planning already! What you propose should all be possible. As it is a very busy time of the year, be sure to get any tours or day tours booked as soon as you can. Some operators may choose not to run their tours on some days over the holiday time, plus there will be more visitors to the islands than normal…we would not want you to miss out on something! Your ferry timings *should* be fine for getting between islands and to the airport. HI! I am planning an 8 day galapago’s trip with 2 others. How do I get to Floreana Island? I really really want to dive there! Floreana is a great island. There are boats that go to Floreana from Santa Cruz, but they are not regular, and tend to be day trips only. If you want to stay on the island, and enjoy it more…you will need to book a multi-day land tour or cruise, or negotiate with someone in Santa Cruz to come and pick you up a few days after arriving. However, if diving is your main goal…then dive trips from San Cristobal ro Santa Cruz would be better! What a great post, thank you for this amazing info! We will be travelling San Cristobal to Santa Cruz by boat in Feb 2019. We have a 3 year old son, do the operators usually allow children on the boats? He’s pretty used to travelling and the water so we are more worried about whether the boat owners themselves may not sell us tickets! No worries Alex, children are frequently on the ferry boats as the local islanders use them for their families as well! Hi, I have a couple of questions of the ferry booking…. Can you only book tickets from the island you are on? i.e could I book a ticket for Santa Cruz to Isabela whist I am on San Cristobol? Also, fo the ticket offices open in the evening? I will be travelling from Cristobel to Santa Cruz in the afternoon, so will get to Santa Cruz at around 6pm. Then I want to get the boat the next morning at 6am to Isabela. will I be ok to book my ticket when I get to Santa Cruz, or can I book in advance either online or on San Cristobal?